It’s challenging to go from the bottom to the top. Take steps to raise from one level to the next until you are at the top. It’s a real challenge to keep a good perspective on things when you are having a crappy day. One thing leads to another and before you know it you have a day where you say “I should have stayed in bed”. And at those times, if you were to check in with the energetic field that surrounds you at all times, you would find it quite low, which is not conducive to having a positive day. Everything has a vibration. That is a scientific fact. Even inanimate objects have a vibration because they contain atoms that move at the most microscopic level. They just move too slowly to see. You, too, have a vibration – every moment of every day and it changes constantly. You emit energy and people pick up that energy all the time. We have all met someone we liked right away and those we wanted to run away from. It was their energy you were picking up on. Whether it was the words, tone or body language, you picked it up and decided right then and there whether it was pleasing or not. You were either on board with getting to know them better or running away as fast as you could. Vibration is important because like attracts like. If I had a guitar and a piano tuned to the same scale and I hit a low “E” note on the piano, the guitar E string would begin to vibrate. Vibration has frequency and the piano note’s frequency would activate the guitar string with the same frequency. The two resonate with each other. It works the same way with feelings and emotions and thoughts. Just because you cannot see it does not mean it is not present. Like I said above, we have all had days where one thing went wrong and then the whole day went downhill from there. Like attracted like. But you have also had days where everything just seemed to go your way and you’ve said “Wow, I am on a roll.” It’s all about the energetic vibration you carry. So it stands to reason that you would want to have as a high a vibration as possible which means being in a good mood. Is it possible to always be excited or hopeful? As long as you’re human, probably not. Real life intrudes every day. Traffic snarls, rude people, unfair situations, things that weigh on your nerves, oh yeah … you know you could name a hundred other scenarios too. When you let yourself slide down into anger, frustration and resentment, you are so involved in the intensity of the feeling, you don’t care about anything except stewing (for the quiet ones) or spewing (for the louder ones). It is so intense you just want to explode. You turn into an unpleasant grump and then vomit your frustrations on everyone – including your nearest and dearest – even sharing and justifying your foul mood on social media looking for people to engage and validate you. So th e question is, then, how can you elevate your mood so that your level of vibration (what you attract) changes as well? This is the question that was on my mind recently so I tried an experiment. You can try it too. It worked really well and I was surprised at how I felt afterward. I was totally connected and on a natural high. STEP ONE: Take a deep sigh and put a smile on your face. And I mean a real smile. The one that reaches your eyes. Don’t have anything to smile about? YES YOU DO. Think of someone or something you love or cherish; or think of a song or movie that you like or makes you laugh. Still cant get the smile to the eyes? Fine. Just keep it on your lips. It is a start and as “they” say – Fake it till you make it! That smile will be genuine soon enough. STEP TWO: Get outside if possible. Nature is soothing and has a naturally high vibration. Can’t get outside? Work in a city and there is no “nature?” – Be creative! Look out the window to the sky, watch a bird in flight, or pull up one of a million YouTube videos that has gorgeous scenery. If all of that is impossible, then hum your favorite song – the one that makes your toes tap. That in and of itself will do wonders. Always look for the bright side! STEP THREE: Start appreciating what you are seeing. And I mean FEEL it. When I was at the beach this past weekend, I was appreciating how the sand was so smooth and how my toes felt when I dug in deeper. I appreciated the clouds and all the shapes they take. I appreciated the families (even the noisy ones) having fun because they reminded me of my own times on the beach with my kids. Just appreciate. FIND a way to appreciate it. Note: Now when doing the appreciating, or looking for things to appreciate, you will invariably find something that displeases you, or causes you to judge. DON’T DO IT. Judgment is a very negative vibration and is worthy of a post all on its own! Keep looking until you find something to appreciate about the situation even if the words are “I am so appreciative that it is not me in that situation!” Make it a game! Keep searching until you find something to appreciate or be grateful for. Depending on the person that you are and your individual thoughts, experiences and feelings, this may nor may not be an easy exercise for you. If you are naturally optimistic, this is an easier exercise. If not, and pessimism is your more natural state, this will be more challenging. But it can be done and you CAN train yourself to begin to look for ways out of the lower vibrations. Seriously, who does not want to feel better? Some of you may have heard of gratitude lists and some of you may already be using them. They work too but if you just write words of things you are grateful for and do not feel the emotion of gratitude when you write, then the exercise is useless. The point of all of this is to FEEL the gratitude, FEEL the appreciation. It works. I know because I use it every day. I prefer the word “appreciate” most of the time because it just fits. “Oh I am so grateful the clouds are big and puffy today” does not have the same impact for me as “I appreciate that the clouds are big and puffy today”. Splitting hairs? Maybe. 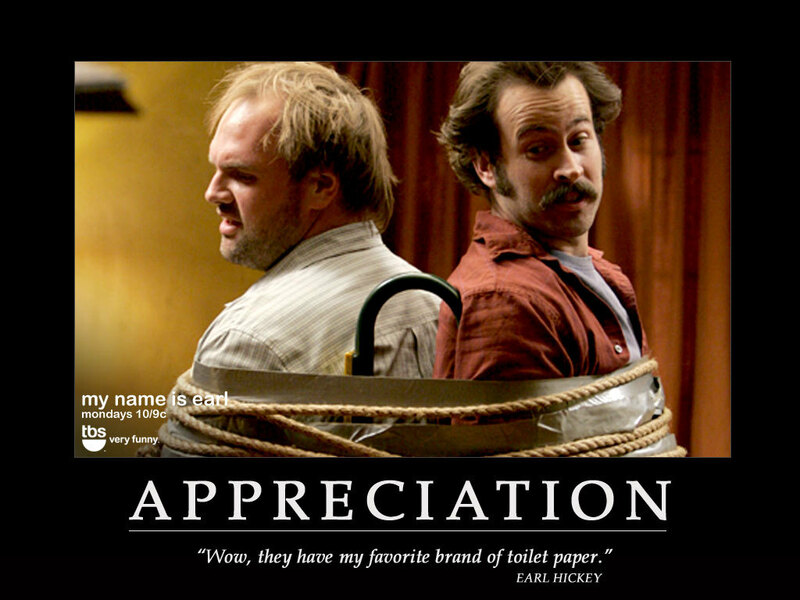 Appreciation and Gratitude do go hand in hand and they are interchangeable. But I do what works for me and you will find for yourself what works for you. It truly does not matter. Appreciation and gratitude both hold a very high vibration. The main goal is to have more positive emotions than negative ones. Who would not want to mostly feel happy or enthusiastic or optimistic and hopeful as compared to bored or frustrated or worried? 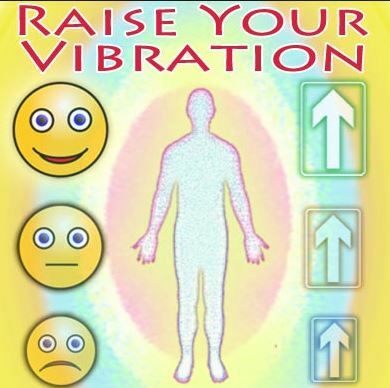 Change your emotions to raise your vibration or use the exercise to raise your vibration so your emotions change. It doesn’t matter how it happens. It just matters that it happens. So try it and let me know what happened when you did the exercise. Were you able to elevate yourself? Even just a little bit? Email me or leave a comment. I would really like to know because I appreciate each and every one of you! Categories: BLOG | Tags: vibration | Permalink. This week in the United States we celebrate a holiday called “Thanksgiving.” This holiday, like all others, has its traditions. In addition to the traditional food celebration, it is often touted as the perfect time to give thanks for all of the blessings we have in our lives. I have heard thanks given for good health, good food, having a job, even having your favorite team in the championship. But most of the blessings given focus on the people in our lives and I am sure that just about 100% of the time those blessings are conferred to another person that we are grateful to have in our lives, who have made our lives pleasant, have done us a kindness or otherwise made a positive impact on us. 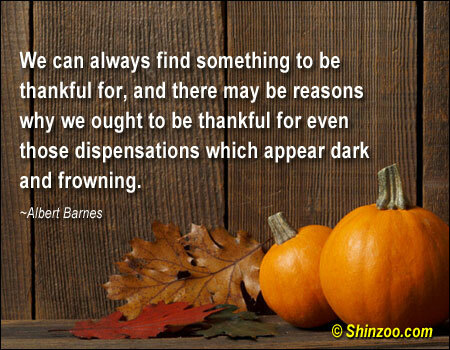 This Thanksgiving I would ask you to expand your thinking and include those that would not ordinarily make the cut. How would you feel about including that boss that fired you? Or that girl that spread rumors about you? How about the friend that betrayed you or the guy/girl who ended their relationship with you and broke your heart? What about the person that just totaled your car? Or the illness your body carries? Anyone who has hurt you or betrayed you – especially family. All of those people and events that would never, ever, be considered for a spot on the “I am thankful for” list. I can hear you now…”What, Deb? Have you lost your mind? I will never forgive “ABC” for doing “XYZ” to me. I was hurt, it was painful, I felt so betrayed”, etc. etc. And of course, if that is the response you have to my request, it is understandable. But remember, this is a blog about Peace through Perspective. So let me give you some perspective and perhaps you can attain a little peace over this issue. Is there anyone left on the planet who has not heard the phrase “Everything happens for a reason?” Probably not. It is often the phrase we use when something unexplainable happens. They are supposed to be magical words that somehow make a terrible situation bearable. That phrase though is really hard to say when strong emotions are present. Some of us will wrack our brain, looking for “why” something happened to us and if we can find that “why”, the phrase is easier to digest. 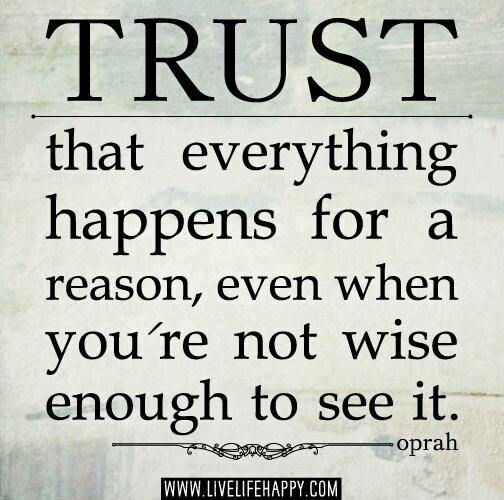 But if we cannot find the “why” it is harder to accept the “Everything happens for a reason” explanation. That is when we often tumble into discontent, annoyance, and even hatred, especially when we are blindsided by the experience. Twenty years ago I had a job that I really loved. I was a trainer in a prestigious law firm, computers were just starting to make their way into the business world and I was at the forefront of a new and exciting technology that everyone had to learn. As a natural born teacher, this was like heaven to me. Not only was I able to learn something brand new, but I could teach others and get them excited as well. The perfect combination for me. My job seemed secure, I was making good money and I was happy. I could see myself at that job for a very long time. Or at least that was my plan. The firm hired an additional trainer to assist with all of the new work that would be coming my way. On her first day, she went through a standard orientation and was kept in a conference room the entire day. I did, however, make sure to have lunch with her to get acquainted. I spent exactly one hour with her, I walked her around, showed her the site of “our” new planned training room and then returned her to the conference room. The next day, she never came back. Everyone (including me) was at first puzzled and then concerned. Where was she? The entire week passed. No word. I was interviewed and asked what I said to her. In truth, I said nothing out of the ordinary. I had no idea why she never returned but I had the feeling everyone was blaming me! The following Monday I barely made it through the front doors when I was approached by the Head of Personnel and escorted to her office. I was told that the other trainer would not be returning because I made her uncomfortable. I was told that she accused me of calling my Supervisor a “dragon lady” and that I called the Administrator of the firm “an alcoholic”. WOW! My mind went numb and all I could do was stare at her. Good grief! Total lies! With barely an opportunity to deny this or even say two words, I was fired and escorted from the building. I wasn’t even allowed to get my personal items. I was in total shock. How could this happen? Why would anyone do this to me? I lost my substantial year-end bonus that was being paid out that week and I lost a job that I really loved. Totally unfair and completely out of my control. Three weeks to Christmas. As a single mother of two, I don’t have to tell you how daunting things seemed. I will not give you a blow by blow description of everything that unfolded in the eight weeks it took to land on my feet again. It is an awesome story and will be told another time. Just let me just say that during this period, I was led to the decision to work for myself and own my own company. It was a scary step but I really felt compelled to do it. So I did. I created a company to teach software applications and I became successful beyond my wildest imaginings. Things fell into place for me with such ease that I had to pinch myself to be sure it was all real. That law firm experience was not the first time something bizarre had happened to move me along nor was it the last. This type of event has played out so many times in my life, I’ve lost count and the memories have blurred Mostly the memories blur because I no longer place any importance on it anymore. I came to terms and found the perspective about the situation – a very freeing moment. My story here is about a job but the same applies to relationships and other areas of your life too. Each person we meet and every thing we do or experience has a purpose and part of the goal in life is to figure out what that is. We learn a lot about ourselves in the process, if we allow the process to happen. Be open to growth and the rest takes care of itself! 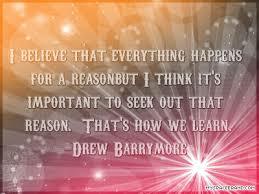 So yes, there is ALWAYS a reason that something happens. I have hundreds of stories that bear that phrase out. I have become completely convinced. We always want to know the reason WHY and, as in my story above, sometimes we get to know (if we are alert enough to see). Sometimes the reason becomes obvious within moments, others can only be seen in retrospect. The trick really, is to know that if what happened was perfect in retrospect, then we would save ourselves a lot of headaches and heartaches if we just realized it at the beginning! I am working on that very thing right now. Knowing that as the unpleasant happens, and fear sets in to paralyze you, everything really is perfect and it all works out. It has to. We are guided at all times and never left alone, no matter how the ego and your thoughts would like you to think so. So…who will YOU be thankful for this Thanksgiving? Can you find a person in your life (past or present) who has taught you a valuable lesson or hurt you to the point where you (hopefully) grew and matured from the pain? Someone who knocked you down so you could have the satisfaction of getting back up again? Add them to your “I am grateful for” list and mean it. Truly, they had a purpose and hopefully you both gained from the experience. I would love for you to share your story. You can do so on my Facebook page: http://www.facebook.com/enlightenedconcepts. Categories: BLOG | Tags: Thanksgiving | Permalink. No, Morty and the three pigs is not a fairy tale although it probably could be turned into one. It is a true story about a day that changed my life and helped me to begin to choose peace over turmoil. I learned to change my perspective in a big way that day. But just how DO you change perspective? Well, the easiest way is by allowing the possibility that “all is not as it seems”, that there could be something else that remains unknown to you. Once you give your mind different alternatives about the situation to contemplate, you can then choose not to dance in drama and fear because other possibilities exist. It is easy to train yourself to begin to imagine other possibilities. You just actively look for them. As an example, today we will focus on driving – something that is guaranteed to push a few buttons. Driving, especially in congested areas like the one I live in, is always challenging. Drivers are too slow, too old, too fast, too distracted, too inconsiderate….and the list goes on. 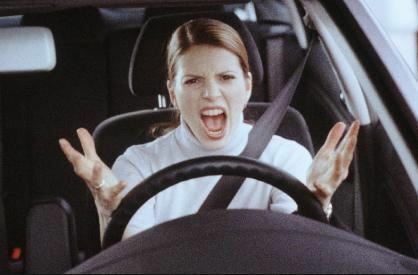 How many times have you yelled at another driver whether they could hear you or not? How many times have you been in a rush and the car in front of you is taking its own sweet time? How about getting cut off? That just about guarantees anger and aggravation. Combine those events with the fact that you, yourself, are impatient, late, not a morning person, tired, cranky (the list goes on) and you have a volatile situation brewing up every time. Yes. I, too, was that yelling, pissed off lunatic in the car behind you when you didn’t signal that you were turning and I almost hit your car! and Yes, I can still get that way on occasion. Crazy actions engender fear and fear makes us either run away to hide or lash out. In driving, we always lash out. But remember, the point of these posts is not to have you grow wings out of your back and never be ruffled by events again. The purpose is to give you a different perspective about what is happening so that you have the choice to release yourself from the tension of how you are feeling. The choice to center your emotions. Why would anyone CHOOSE to drive upset? Astrologically, I was born an Aries. Aries people are always characterized as “quick to anger” although they also have the ability to quickly cool off. Bad drivers have always ignited anger in me. But I was able to change that behavior and my reactions and it was due to a guy I named Morty. Thanks to Morty & Co., I was around to see my daughter, Angela (R), performing in her preschool play that day. I remember the day very clearly. 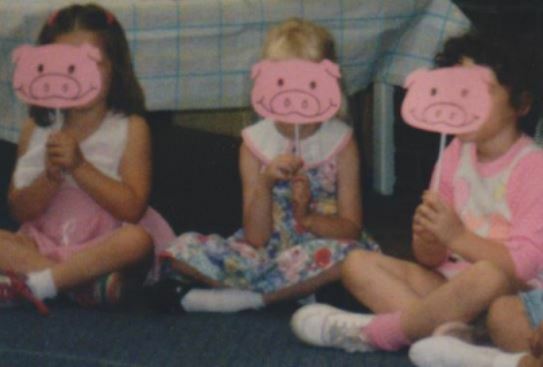 My youngest daughter was in preschool and was doing a play about the Three Little Pigs at lunchtime. I was working in a town that was about 30 minutes away so every moment of driving time was precious since I was taking an extended lunch hour. When I left I had 40 minutes to make it to the show. I left time to park, walk in, get a seat. But despite my well-planned intention, something else was in store for me. A giant lesson. I was making really good time on relatively empty roads when a car cut me off and I found myself stuck behind some old guy wearing a hat and driving a big car. Could it get any more cliché than that? Seriously! This guy had to be doing less than 20 mph on a 40 mph road! I was on local roads, no ability to pass and my temper just got hotter and hotter. Even knowing I had 10 minutes built into my plan did not help to alleviate the pressure I felt to pass him and be on my way. The moment I had an opportunity to pass him legally, I did. I put pedal to the metal and surged forward, eager to make up the time I lost behind Morty. (Yeah..I named him) I was making progress with no one in front of me when ANOTHER car quickly pulled out in front of me from a hidden side street and slowed me down again. You cannot imagine the words I strung together to express my displeasure! I was yelling those words – now angry and fearful that I would not get to the school on time. However, everything changed for me just a moment later. Despite the newest obstacle in front of me, I was hoping that I would get to the green light at the intersection before it changed to red. Not having to stop for the light would shave a few minutes off my time. As the anger once again reared its head and I began a new tirade against the idiot in front of me, I watched as a massive accident unfolded before my eyes at the intersection just ahead of the “slow-poke”. It was horrific. Someone from the opposing traffic ran the red light. And there was not one second of pause between the thoughts of “Oh My God” and “that would have been me”. I became flushed with emotion – not only for those in the accident but also for myself. My mind went blank, and then even though my heart was pounding out of my chest, I felt so protected. I got it immediately. My eyes welled with tears. Those “jerks” in front of me slowing me down were there to protect me. It is not something I THOUGHT. It was something I KNEW. Had those two cars not found a way to slow me down, it very well could have been me in that mangled mess. That day provided a lesson I will never forget. I think of this often when driving behind slow cars and I don’t allow myself to get angry or annoyed anymore. In fact, the only time I do still get irritated is when the person is on a cell phone or reading (!) or otherwise engaged in behavior that is not driving. That’s dangerous – for me and for them. But even then I don’t become enraged. I have a flash of irritation, I take a deep breathe and shake my head. When I am sitting in traffic for what seems like forever and the lady in the SUV thinks she’s cute by driving in the merge lane to get a few cars ahead and cut in, I laugh. If it is that important to her to get somewhere, so be it. It has nothing to do with me. I get out of the way of those people weaving in and out of traffic. If they want to pass me, so what? If they want to tailgate? Well, that’s simple. I put my wipers on and spray for a really long time to make sure not only my windshield gets clean, but theirs does as well. (It’s just a kindness 😉 ) And then I add a prayer for all of them that their angels are on active duty that day. Do I still have an initial flash of annoyance? Well of course I do! I am human after all but let me repeat that… an initial flash of annoyance. I don’t carry it around for hours nor do I post it on social media. It happened. It’s over. I’m safe. No need to reenact it over and over. I can do without the drama. My life is exciting enough without choosing extra drama! The truth is you don’t know what you don’t know. To you, that person has no reason for driving the way they are driving. It frightened you or upset you and you want to lash out. I get it. But how do you know that they are not being extra careful by driving slowly because they have something delicate in the car that could fall over or that any bump in the road causes someone in that car pain or discomfort? That person that just cut you off? Maybe they really truly did not see you. A lot of us drive, unfortunately, on auto pilot. It has happened to me and I would guess to many of you. Sometimes mistakes are just mistakes. And sometimes those “mistakes” are designed with a purpose that we will never know. There is a beautiful synchronicity to life that we never get to see from behind the scenes but believe me, it exists. Remember, you do not know what you do not know! I was lucky enough to see the “why” behind my driving event. I don’t ever need to “see” the proof again, believe me! The secret to inner peace is to change your perspective on the situation. And this does not just apply to driving, obviously. Actively seek to find a way to think about the event that no longer causes you stress, grief or pain. Allow the possibility that you DON’T know everything; and that “the thing” you don’t know changes everything. YOU control your emotions and what just happened to you is about YOU and YOUR reaction. It is not about the other person, no matter what it is that they did. So next time when you are in traffic, whether as a driver or passenger, stop the hysterics. Take a deep breath, realize there might be more to the situation than you know and CHOOSE peace. Then you can amuse yourself with all of the possibilities of why “it” happened to you. (And don’t forget to forgive the driver in front of you. Unless you are a perfect person, we are ALL guilty of stupid driving behavior whether by accident or design.) When you can make peace with it in your head, through your thoughts, it will cease to have any importance to you at all. Morty, I will never know your real name, and you have probably passed on by now (since you were older than dirt when you cut me off that day), but I still hold gratitude in my heart for your playing the part you did on that day. I tried to thwart you in your mission to protect me but it did not work. You (and the unknown driver) were my angels in that moment and you taught me a lesson I will never forget.